Have you ever seen images from a medical CT-scanner? Now, the same technique can be applied to your micro samples! 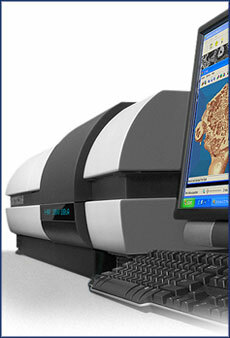 SkyScan systems allow you to cut virtual sections or even fly through samples non-destructively. No preparation, coating or vacuum treatment is needed. SkyScan microtomography is available in a range of easy-to-use desktop instruments, which generate 3D images of your sample’s morphology and internal microstructure with resolution down to the sub-micron level. Software for visualization and analysis in 3D is included with all SkyScan systems.